It’s been a beautiful, hot summer – record breaking in fact. I think the past week or so has seen the highest temperatures and humidity. In other words, perfect tomato growing weather. 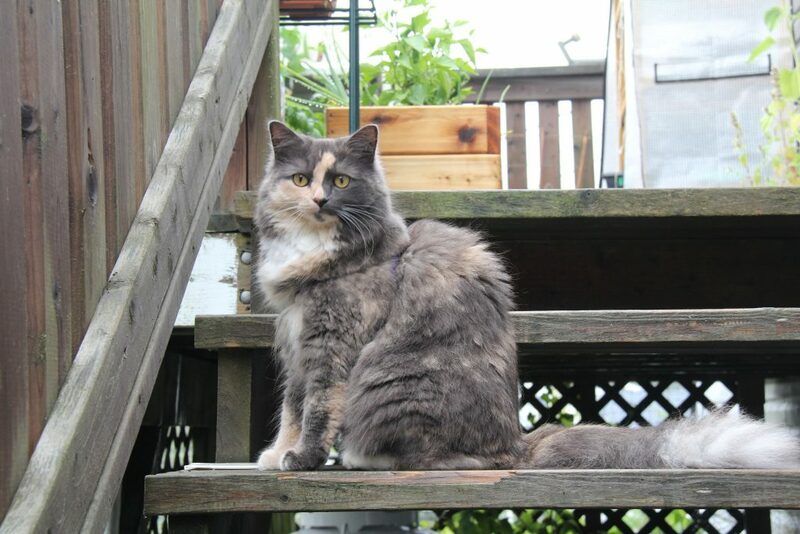 We finally got some rain though; it was pouring down when I woke up this morning, much to Isabelle’s disappointment. All was looking good in my little Tomato Alley behind the house. 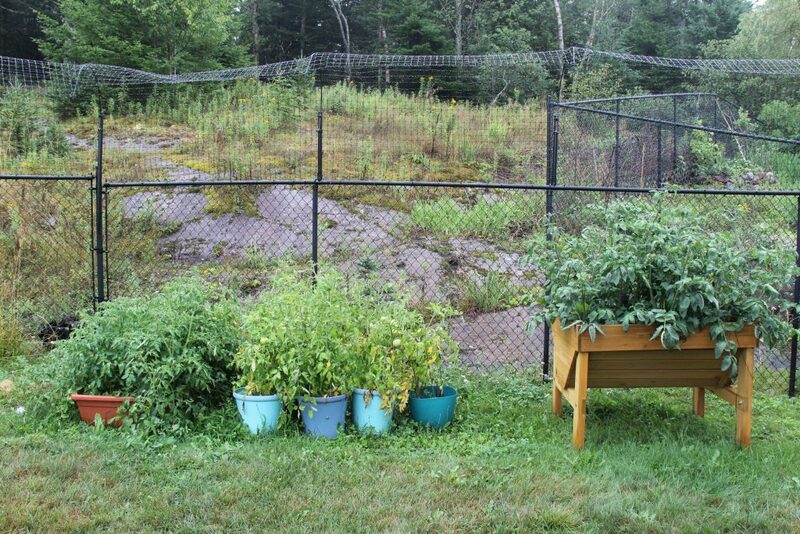 These are mostly Indigo Rose and Sweet 100 Cherry tomatoes, except for 3 pots that are New Big Dwarf. 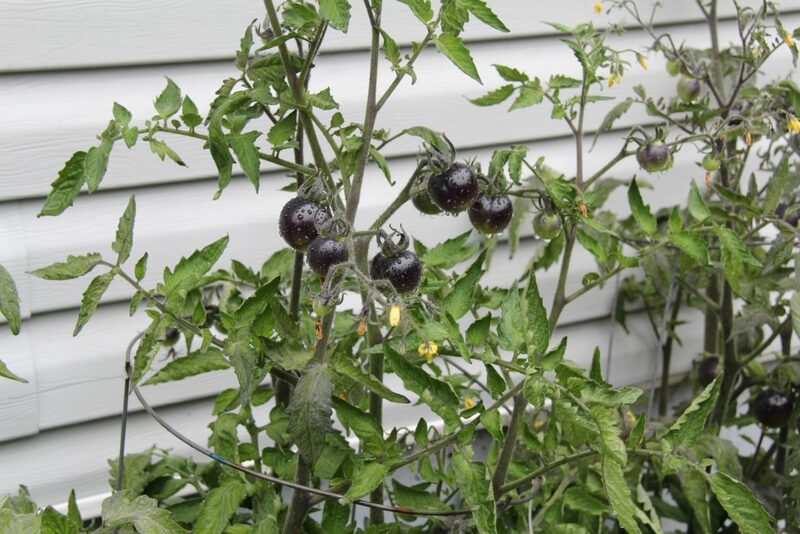 I stop to admire the Indigo Rose tomatoes practically every time I go out. 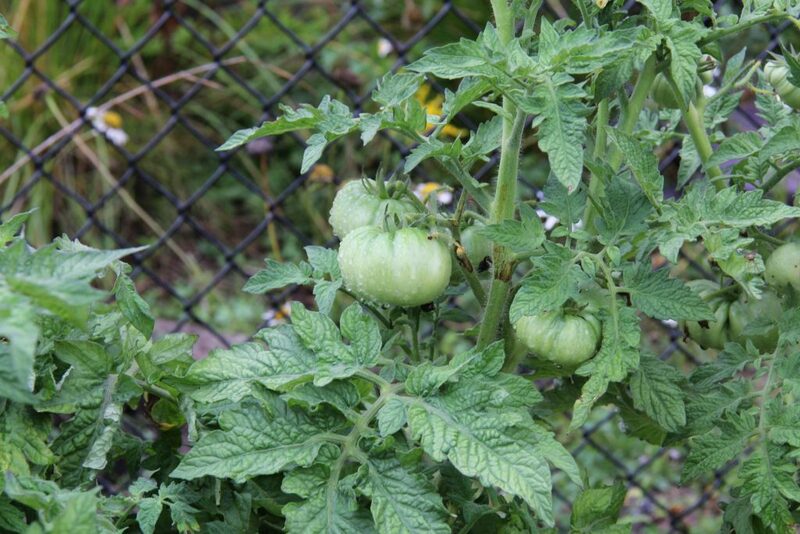 Looking forward to seeing what these look like ripe. 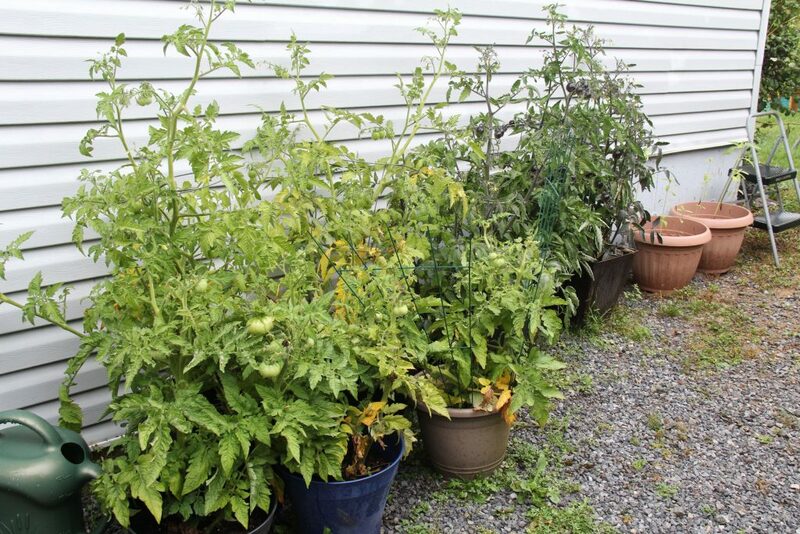 Then around to the side yard, where the rest of my Tomato Jungle is growing. 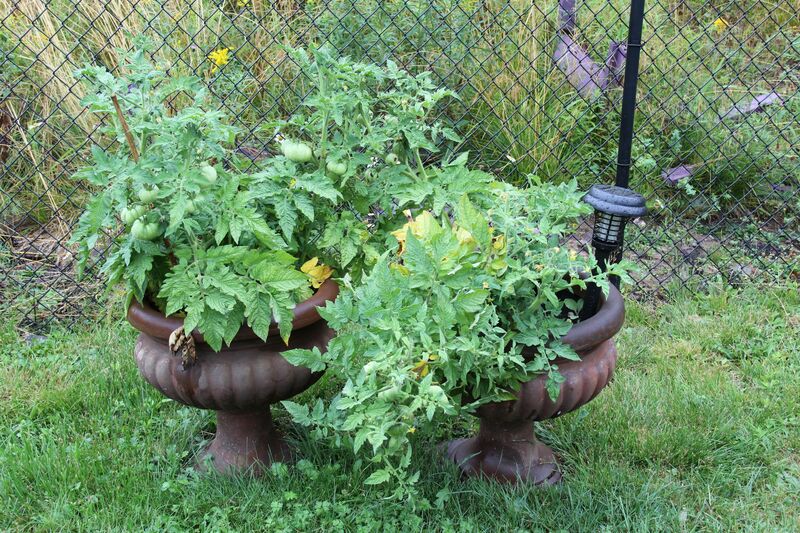 The wooden planter is more of the Indigo Rose; They are vine-y tomatoes, a very attractive looking plant. In the middle we have Beaverlodge Slicer tomatoes, which are just loaded with fruit. And on the end, Princepe Borghese, really bushy, green plants. And finally the New Big Dwarf. I actually have a couple more containers of these by the gate. 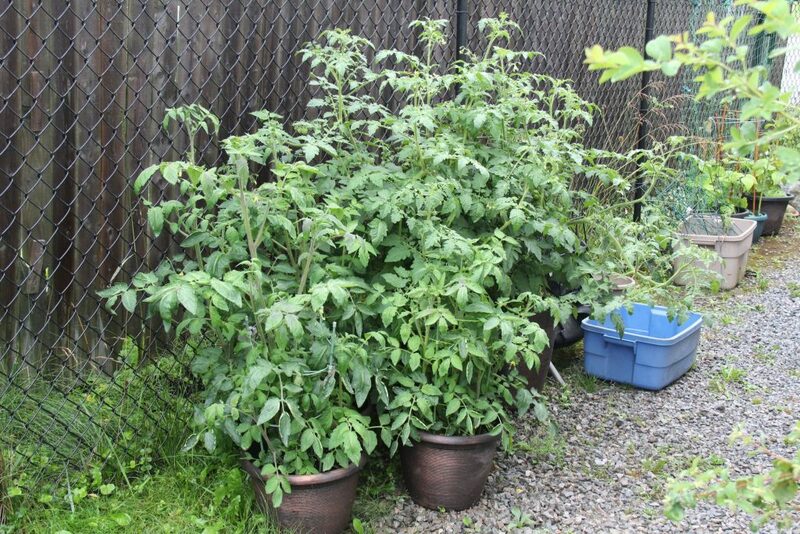 They are in the Patio Tomato category, and had the longest growing time, so they were the first ones I transplanted. So far it has been a fantastic growing season, so feeling hopeful for lots of beautiful tomatoes this year!